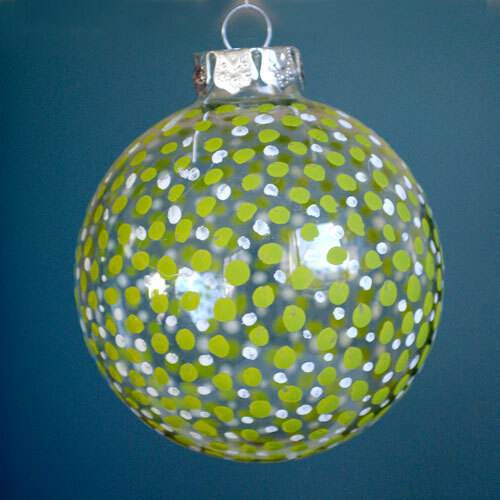 DIY Christmas Ornament Tutorial – Glitter! I allow glitter in the house, yes, it’s true. 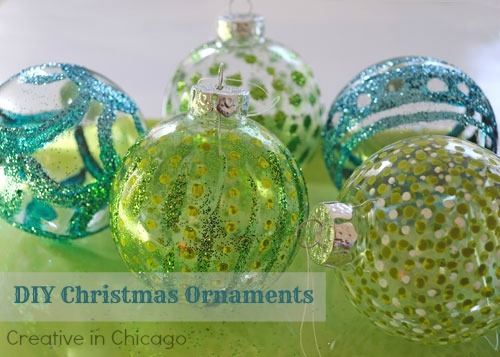 When Chicago teenager was much younger, one of her little friend would come around and they would spend hours in the basement gluing, glittering, painting and generally having a fabulously creative time. Her friend was not allowed to take anything with glitter on it home because her mother forbid glitter in the house. How sad is that. I know it can make a mess and if you use it you end up having glitter on your face for days…well I do. 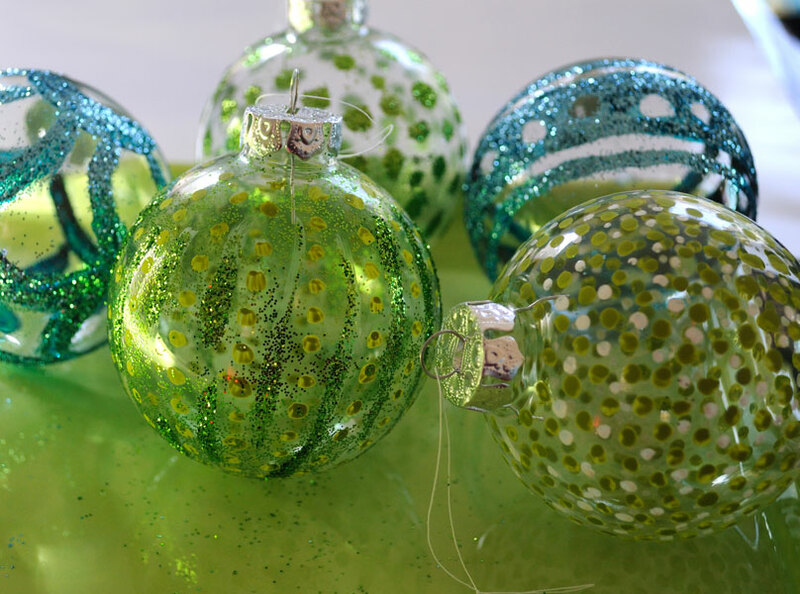 But how can you make lovely Christmas ornaments if your home is a glitter free zone? 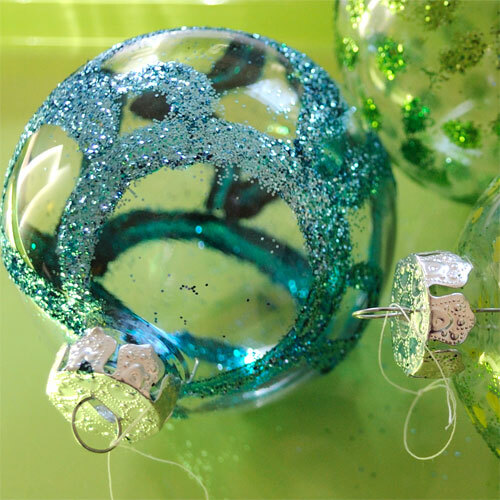 You will find that quite a bit of glitter sticks to the non glue areas…to get rid of it take your ornament outside and gently rub it with a soft cloth. 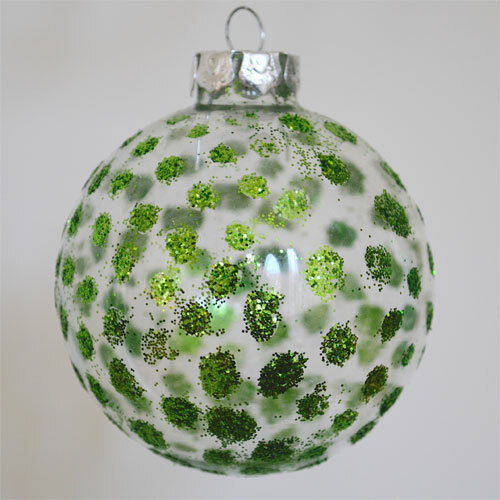 You can reclaim the glitter from your tray ready for next time. 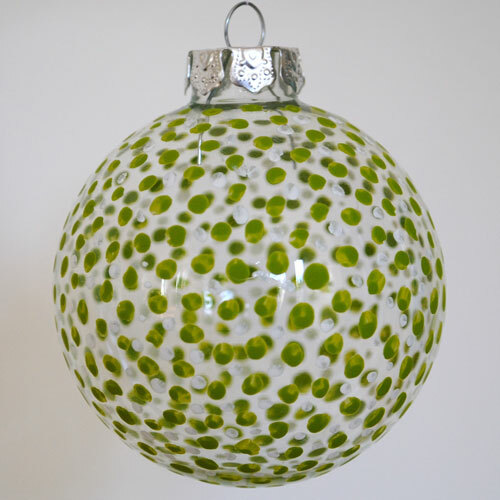 I made one of these painted ornaments last year – it is one of the most visited pages of my blog.